More and more people are now commissioning their very own timepieces because the most favored objects will only be those that are the rarest and most exclusive. In a world that appears to be growing forever smaller, there is a certain gratification in knowing that only one person in the whole world is walking around wearing the exact same watch. This passion for uniqueness has increased year by year and has reached a level today as never before. Already in 2004, Angular Momentum has seen the opportunity to become even more exclusive with one-of-a-kind timepieces and has focussed its work on exclusive bespoke and custom made Artisan Timepieces for a fastiduous clientele around the world. In the course of these years to fulfil the expectations of the customers Angular Momentum has appropriated a unique palette of traditional artisan techniques like enamelling, engraving, repousée, "uchi-dachi" which is a distinctly Japanese process that blurs the distinctions between what is commonly known as metal "sinking" and metal "raising" and many Japan lacquering techniques never been applied in watchmaking before. Studying old publications on art & craft Angular Momentum has discovered many old in oblivion advisable technologies such as "Email Lumineuse" a luminous enamel made of powder prepared from oyster-shells, fluor-spar, cryolite and barium borate. The glowing Urushi lacquer might be one of the most interesting among Angular Momentum‘s newly developed artisan technique. 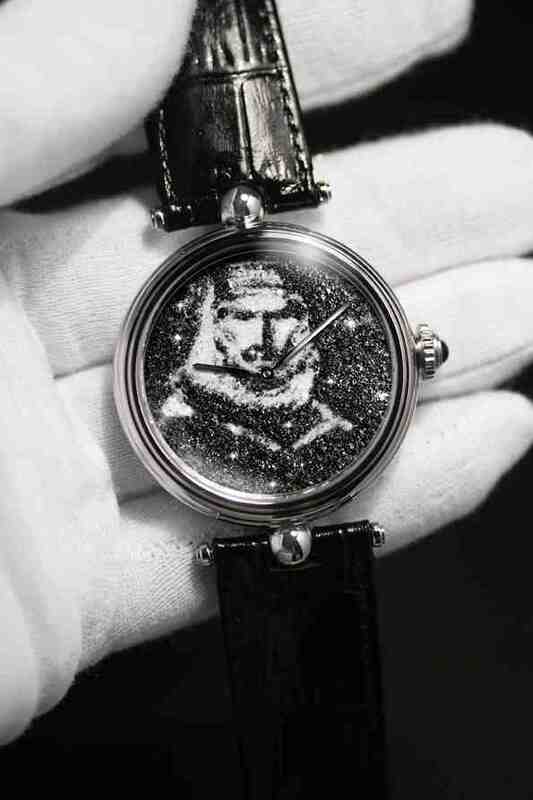 One of Angular Momentum‘s simple but effectful techniques is that of the "Sparkling Painting", the arranging of images and portraits on watch dials with sparkling Platinum Ore, black and clear diamond splitters of various grains.